Iraq: Last week, Iraqi Prime Minister Haider al-Abadi declared victory over the Islamic State. Airwars examines the civilian toll of the war in Iraq. Estimates of the number of civilians killed since the Islamic State rose in 2014 are still being measured, though Iraq Body Count has recorded more than 66,000 civilian deaths since January 2014, when the Islamic State captured Fallujah. More than 3.1 million Iraqis were displaced by fighting through October 2017; 2.6 million have returned. While the total number of civilians killed by the Islamic State remains unknown, thousands of civilians were killed, disappeared, or enslaved by IS fighters. At least 741 civilians were summarily executed by the IS during the Mosul offensive; IS fighters trapped civilians inside their homes and held them as human shields; and IS fighters laid extensive mines and improvised explosive devices in residential areas. US military estimates of the number of civilians killed in Coalition airstrikes are conservative; the Coalition has acknowledged responsibility in 107 incidents that killed at least 471 civilians, while Airwars estimates that Coalition actions in Iraq have resulted in between 2,129 and 3,152 civilian deaths. Airwars also notes the lack of accountability of Coalition partners. While Coalition allies were responsible for about one-third of all Coalition airstrikes, yet the US and Australia are the only Coalition members to acknowledge a single civilian casualty during the war. Syria: On December 13, the Syrian Observatory for Human Rights reported that a Coalition airstrike in al-Jerthi, Deir Ezzor province killed twenty-three members of one family, including eight children. 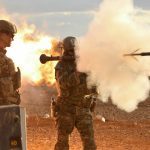 Trump Signs NDAA: President Donald Trump signed the FY18 National Defense Authorization Act on Tuesday in a conclusion to a months-long legislative effort. 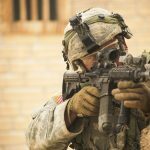 The authorization calls for a massive expansion of defense expenditures, requiring nearly $700 billion in spending in a move that exceeds budget caps established during the Obama administration. These budget caps, which limit defense expenditures to $549 billion, will be an ongoing challenge for the defense authorization and Trump’s efforts to expand the Navy by 76 ships, the Army by 60,000 soldiers, and the Air Force by 100 aircraft. These budget caps are expected to feature in upcoming battles between Democrats and Republicans over the FY18 budget, and some observers expect a government shutdown if Republicans aren’t willing to make key concessions to the Democratic minority. A report on the Government of Nigeria’s efforts to improve the protection of civilians. A report on the transfer of arms to units committing gross violations of human rights. A report on Saudi Coalition’s civilian harm minimization strategies in Yemen. Annual reports on civilian casualties caused by United States military strikes. In a time characterized by accelerating civilian casualties and expanding drone warfare, the planned military buildup should be concerning to advocates for those most at risk in conflict zones. However, voices in Congress seem to have succeeded in improving information access to those concerned observers, and there is cause for optimism in that fact. 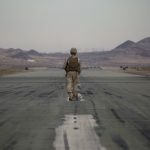 In the coming weeks, watch for critical budget negotiations between Democrats and Republicans in the Senate; while the new reporting requirements are secure, military expansion cannot occur as long as budget caps stand. 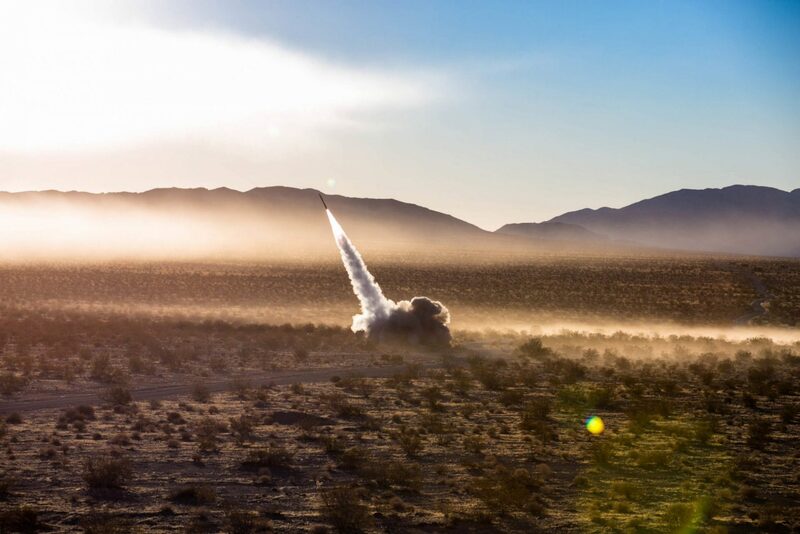 Afghanistan: On December 8, a M142 HIMARS conducted an artillery strike in Helmand province against a Taliban narcotics production facility. US Forces – Afghanistan said that the strike destroyed nearly $1 million in direct Taliban revenues. A US strike reported on December 9 killed eight Taliban fighters in Tarin Kot district, Uruzgan province. Somalia: On December 12, a US strike targeted an al-Shabaab vehicle-borne IED, removing “an imminent threat to the people of Mogadishu.” US Africa Command said that no civilians were killed, though did not specify the number of casualties. Commander of US Africa Command, Gen. Thomas Waldhauser, has requested an outside investigation into the August 25 raid in Somalia. The initial internal review conducted by Special Operations Command Africa found that only armed enemy combatants were killed during the raid, despite reporting by The Daily Beast that found the operation resulted in the deaths of ten civilians and suggested that US Special Operations Forces fired directly upon unarmed civilians. The external investigation was prompted by continued accusations by Somalis that civilians were killed. The Daily Beast reported that the commander of US Special Operations Forces in Africa, Maj. Gen. Mark Hicks, sent an internal letter urging his forces to exercise greater caution in the field. This comes as US military operations in Africa face increased scrutiny – after the deadly October 4 operation in Niger, allegations that American forces killed unarmed civilians in the August raid in Somalia, and the alleged murder of a Green Beret by two Navy SEALs in June. Hicks urged US forces to “conduct operations with an increased margin of safety” and to modify “assumptions about the level of risk” they can accept. At Just Security, Mark Garlasco writes that the US’s targeting system is broken, as evidenced by the New York Times investigation of civilian casualties in Iraq, and argues that the US has a moral obligation to fix it. He writes that fewer strategic incentives for protecting civilians and a greater tolerance of civilian casualties, a guilt by association approach for targeting procedures, and changes to tactics, techniques, and procedures in targeting have allowed for unacceptable rates of civilian casualties. 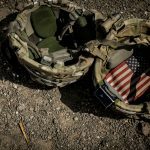 In order to reduce civilian casualties, the US must again prioritize civilian protection – by lowering the tolerance of civilian casualties to zero anticipated civilian deaths, by engaging targets only when it is clear they are actively participating in hostilities, and by focusing on civilian casualty analysis and mitigation in all operations. Lebanon: The US will give the Lebanon $120 million in aid to boost border security and counterterrorism operations in an effort to prevent violence from spilling over the Syrian border. The Lebanese army will receive six MD 530 G light attack helicopters, six Scan Eagle drones, and communication and night vision equipment. Somalia: The US is suspending aid to Somali military units after the Somali military repeatedly failed to account for shipments of food and fuel. Syria: A new report by Conflict Armament Research found that weapons the US secretly provided to Syrian rebels, as part of the CIA’s covert program that the Trump administration ended earlier this year, fell into the hands of the Islamic State. The report also suggests that the US violated agreements with arms manufacturers not to transfer weapons after purchase. The Atlantic: Robert Malley and Stephen Pomper react to Azmat Khan and Anand Gopal’s “The Uncounted,” published last month in the New York Times Magazine. Writing from their experiences in the Obama administration, they acknowledge that safeguards for civilian protection in the anti-ISIS campaign proved inadequate even in an administration that prioritized limiting civilian casualties and warn that civilian protection will only worsen under the Trump administration. They offer recommendations for a better approach to civilian casualties, yet ultimately conclude that the United States’ hybrid war against the Islamic State – “a counterinsurgency objective pursued by counterterrorism tactics” – will inevitably result in civilian harm.